Sorry for the Halo Hues heavy posts; I am just obsessed with them! We're finally getting a decent taste of spring weather around me, and with Easter right around the corner I wanted to do something flowery and whimsical. 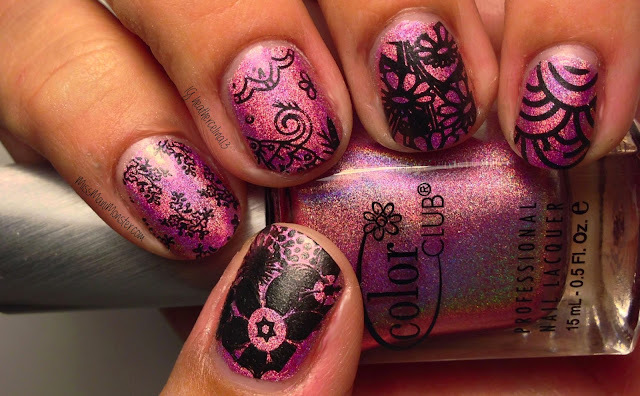 I used Color Club Halo Hues in Miss Bliss and stamped over it with images from Winstonia W111, Gals GA28, GA36, Konad M71, and Pueen 25. 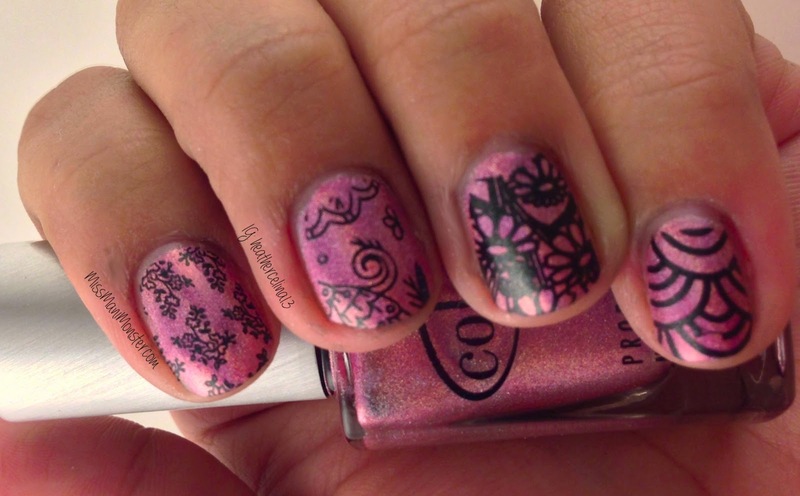 These nails make me feel like I'm in a floral, springtime dream!